Fulano jihadists and Boko Haram are massacring Christians on a regular basis and yet - no "breaking news", no demands for President Trump to denounce. What's the story?? rk9152: I am part of his "base" and i am not a White Supremacist. So ...... your point??? Ok, fair enough. So tell me, does Trump's noticable lack of a vigorous condemnation offend you? Do you see anything wrong with our president downplaying the world wide rise of white supremacy? Just wondering. I have not seen any downplaying - what are you talking about? His condemnation has been there to see if you are open minded. But, that is a big "if". It is hardly surprising that someone writing for a John Podesta left-wing Democrat tool would attack President Trump. Why the shooter said what he said is unknowable - possibly to get more attention (like Smollett). And it certainly worked - the Trump haters here jumped right onboard. I wonder if anyone has any rational reason to make such claims about our President. Why does trump not speak out loudly against White Supremacy? Simple..........he's afraid of offending his base. I am part of his "base" and i am not a White Supremacist. So ...... your point??? Sad but true, this is what America is becoming known for. If the enemies of the USA wanted one best propaganda tool to use against the USA this would be it. Maybe it's why the Russians support the NRA and work hand in hand with them and the Republican Party. Why has the POTUS, trump, minimized White Supremacy? He had a White Nationalist as his top adviser, Bannon. He minimized White Supremacy in Charlottesville with his "fine people on both sides" comment. Now he minimises it after the New Zealand incident where the perpetrator even mentioned his name. Simon Clark: The New Zealand Was Inspired By The Hate America Is Exporting. We Need To Deal With That Reality. We have lectured other countries that the best way to limit violent radicalism is to attack its funding. It's time to take our own advice. This, however, is exactly the kind of denial and deflection that the West had criticized so forcefully when it came from Sunni Arab countries after 9/11. Ever since the early [aughts] ​2000s, the U.S. and Europe have rightly pressed a number of Sunni Arab countries to crack down on the internal sources of ​Islamist terrorism, arguing that their inaction on domestic extremism was putting both their own societies and people around the world at risk. We emphasized, again and again, that only a determined focus on the preachers and financiers of terrorism could staunch the threat. 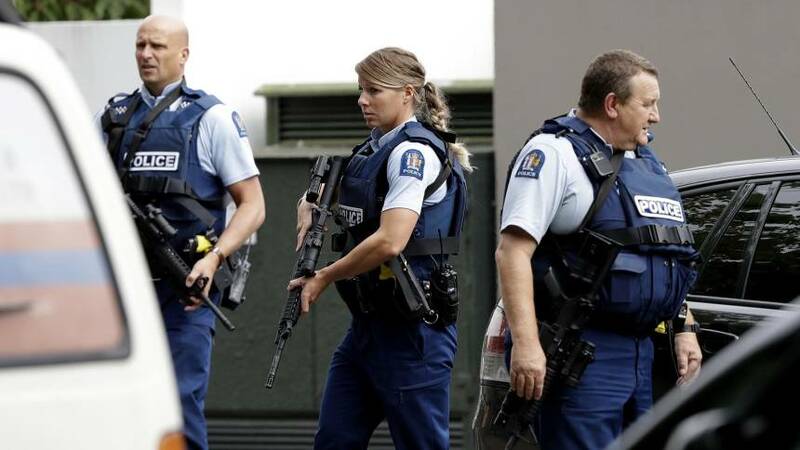 After yet another massacre apparently inspired by white nationalism, it is long past time for Western countries to reflect on whether they should act on the advice that they so freely handed out to others. It is our turn to deal with propagandists who radicalize online, as well as with those who fund them, or risk the lives of people around the country and the world. We already know that this is a real and growing phenomenon. Christopher Wray, the director of the FBI, told Congress last year that, for the first time, the bureau is investigating as many homegrown far-right terrorist cases as ​Islamist ones. The Anti-Defamation League reported that every one of the 50 extremist related murders in the US in 2018 was linked to the far right. White nationalism relies on a fundamentally genocidal belief in “the great replacement,” the central claim of which is that a non-existent "white race" is threatened by the arrival or socioeconomic rise of "others," usually defined as those of darker skin and/or a different — usually Muslim — faith. The threat is so great, white nationalists argue, that extreme violence against “the enemy” is not only justified but required, in order to wipe out what they see as the existential threat. Extremism is not going away. So how do we talk about the Nazi next door? The sources of these poisonous ideas are no secret, given the number of violent acts already inspired by them. Dylann Roof acknowledged the influence of the alt-right’s Council of Conservative Citizens, as well as the activists Richard Spencer and Jared Taylor, for the “racial awakening” that led him to attack an evening Bible study at the Emmanuel church in Charleston, South Carolina, killing nine people and wounding three. Robert Bowers shared material from the group Christian Identity on social media before attacking the Tree of Life Synagogue in Pittsburgh, Pennsylvania, killing 11 people and wounding seven. And in Europe, Jean Raspail — whose racist novel, "The Camp of the Saints," advocates massacring all immigrants at the border — has been repeatedly cited by former White House senior adviser Steve Bannon in discussing immigration. Among a myriad of rising white supremacist sentiment there, Generation Identity — whose slick videos document their harassment of migrant rescue ships in the Mediterranean while being cheered on by Katie Hopkins in Britain’s best-selling Sun newspaper — stands out because its leadership has been linked to neo-Nazi violence in Europe. 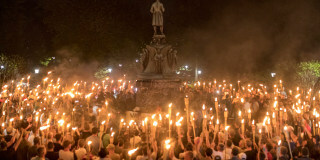 But the ideas espoused by these groups are hardly marginal: Though most alt-right groups don't explicitly advocate violence, there exists a plethora of organizations dedicated to spreading hate-filled, racist, Islamophobic and white nationalist messages under the guise of politics, feeding into and feeding from the fringe groups that do.